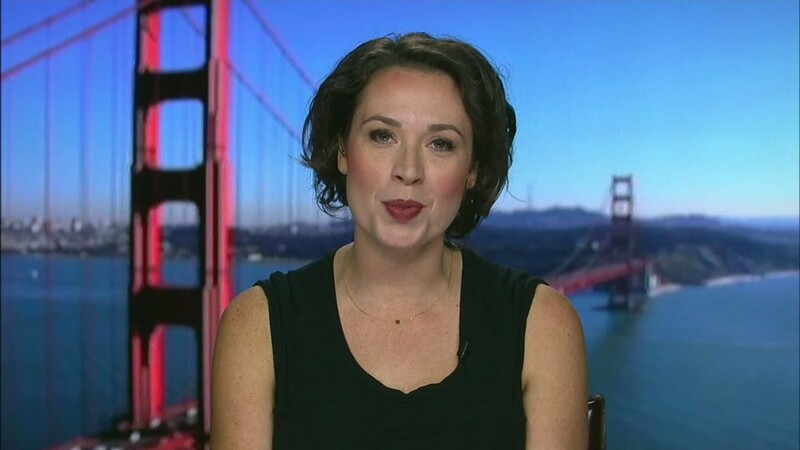 "What is so wrong about digging up dirt on shady journalist (sic)?" 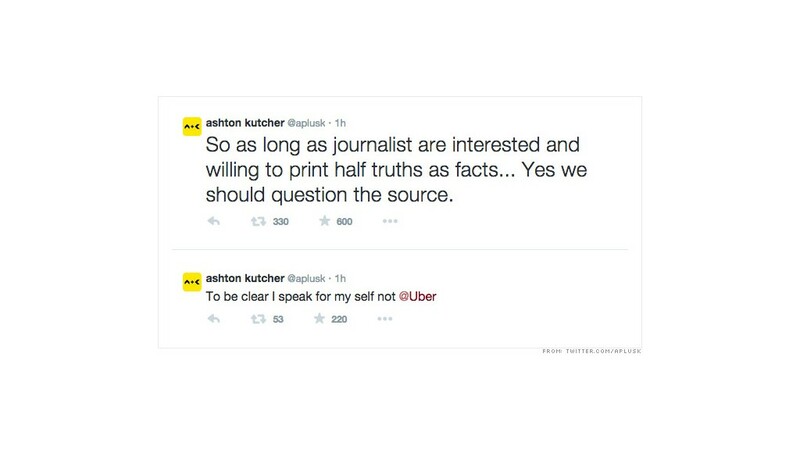 That was the question Uber investor Ashton Kutcher tweeted Wednesday. 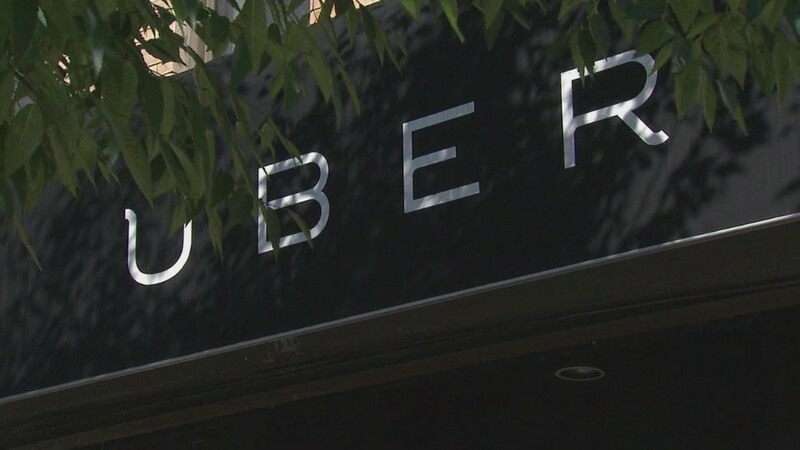 It came a day after Uber CEO Travis Kalanick's 14-tweet apology tour seeking forgiveness for comments made by another Uber executive, Emil Michael, who theorized of launching a smear campaign against the media. The "Two and a Half Men" star, who is an investor in Uber via his "A-Grade" fund, prolonged Uber's Twitter-crazy PR week by calling out the media's ethics. 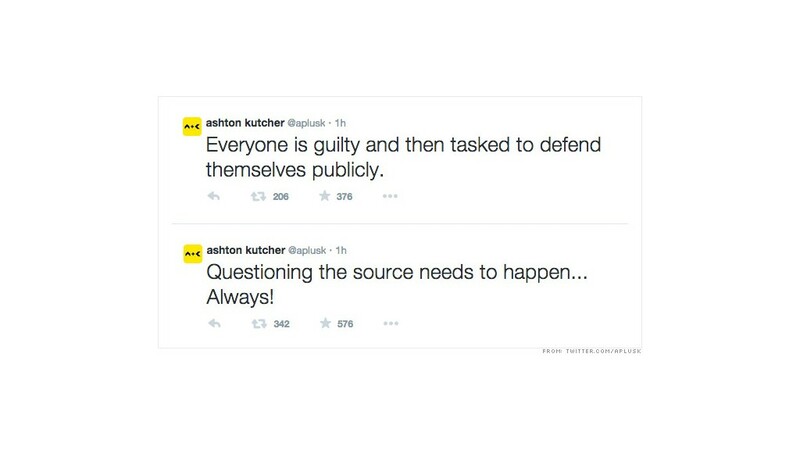 "Questioning the source needs to happen," Kutcher tweeted. "So as long as journalist (sic) are interested and willing to print half truth as facts... Yes we should question the source." 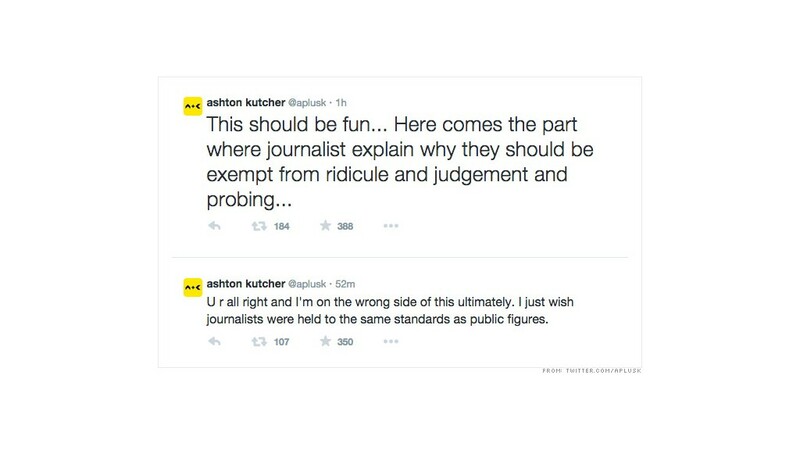 Kutcher continued, "here comes the part where journalist (sic) explain why they should be exempt from ridicule and judgment and probing..."
The actor ended the 11 tweet rant saying that he wished journalists were held to the same standards as public figures. He used multiple hashtags conveying his feelings on the subject: #GoodForRatings, #TrafficSpike, #WelcomeToShockJournalism. 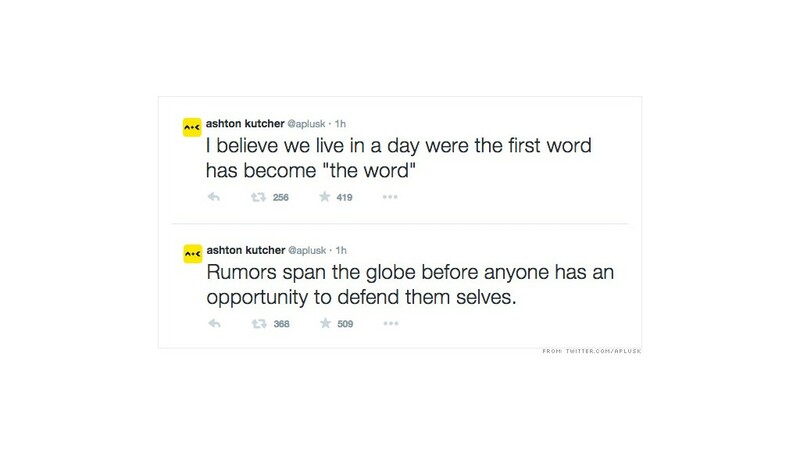 Kutcher did make it clear, however, that his tweets did not speak for the company. 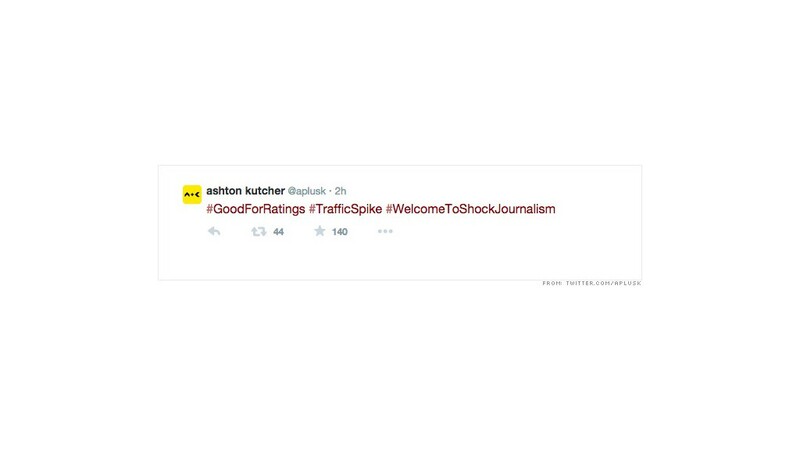 This is not the first time Kutcher has caused a stir on Twitter. In 2011, many were critical of Kutcher for tweeting his shock about Penn State firing Joe Paterno. The tweet came during the Jerry Sandusky scandal, and Kutcher would later say he wasn't aware of the full story when he sent out the tweet. 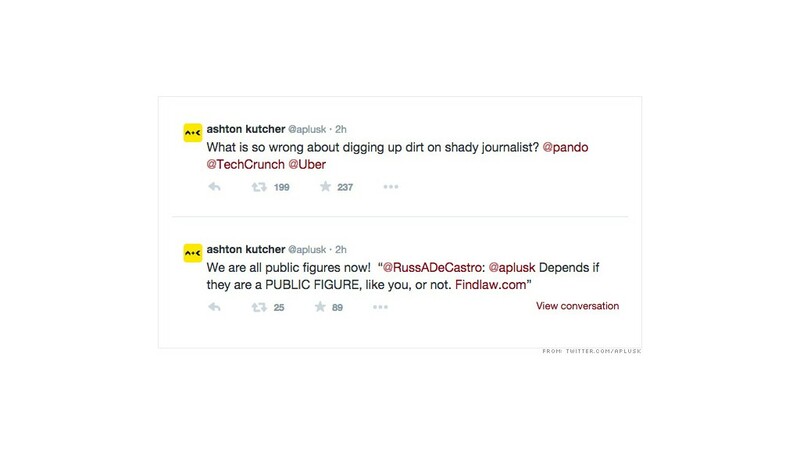 Kutcher has 16.5 million followers on the social media site.